Britain's Brexit debate has become a bruising battle between lawmakers and Prime Minister Theresa May's government. May is trying to keep her EU divorce deal on track Wednesday after her government was dealt a double blow by Parliament. Legislators found the government in contempt of Parliament for refusing to publish legal advice about the agreement, a symbolic defeat that means the advice will now be released. 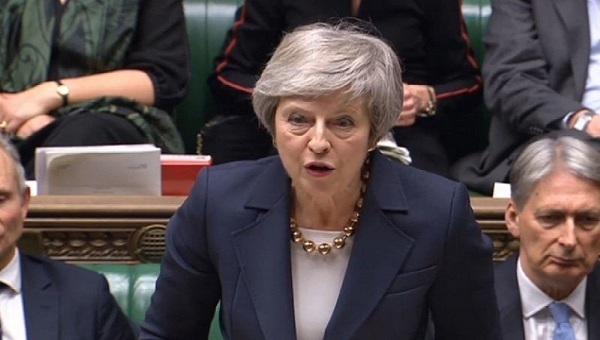 Parliament also forced an amendment to Brexit plans giving lawmakers more say over what happens next if the deal agreed between the government and the EU is defeated. Wednesday is the second of five days of debate before Parliament votes on the deal Tuesday. Strong opposition from all sides suggests the government is headed for defeat - with unknown consequences.